Asiago Roast Brussels Sprouts with Crispy Speck Alto Adige | Healthy. Delicious. 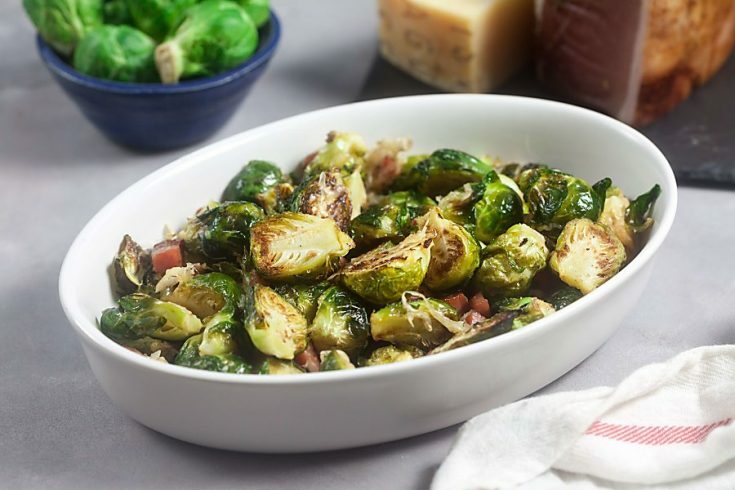 These simple roast Brussels sprouts have loads of flavor thanks to nutty Italian Asiago cheese and crispy Speck Alto Adige. They’ll be a welcome addition to your holiday menu this winter! 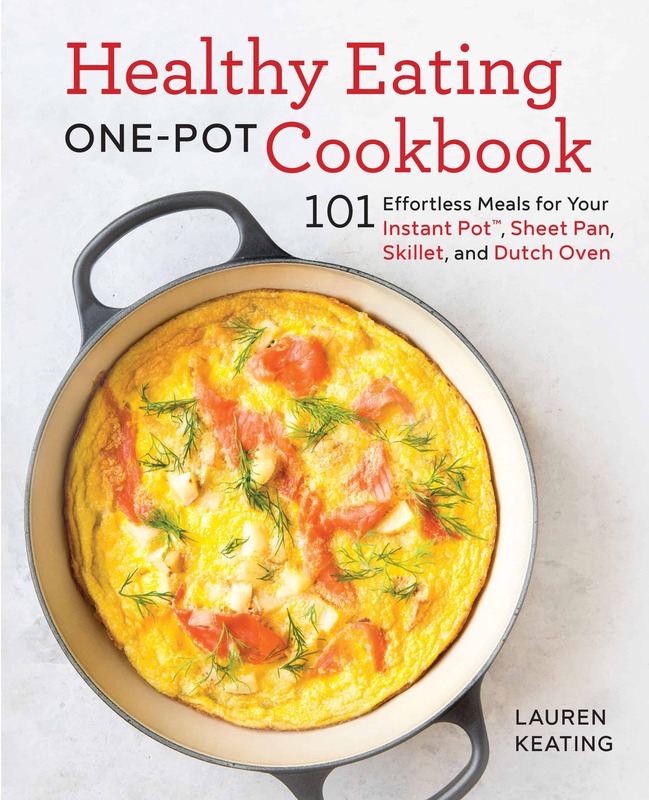 I created this recipe for my client, Uncommon Flavors of Europe. Are you ready to meet your new favorite Brussels sprouts recipe? Good – if you’re anything like me you’re looking at it right now. 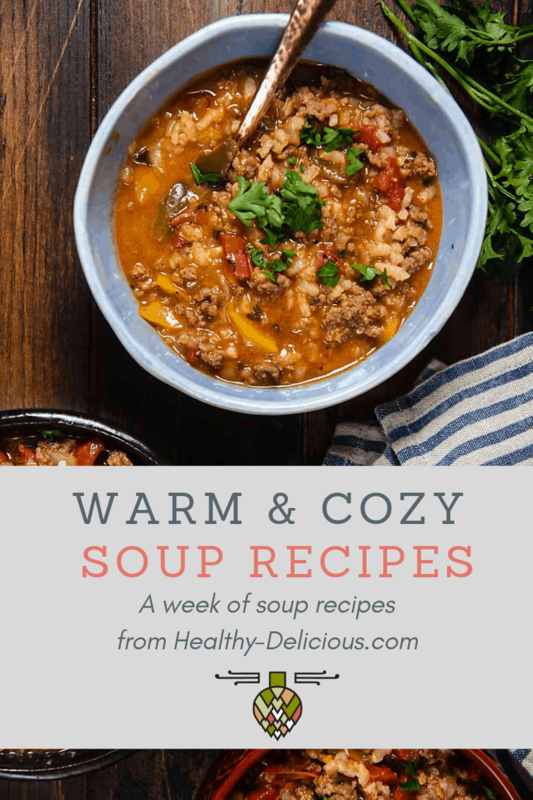 You know I love easy recipes, and this one is just about as easy as it gets. Brussels sprouts and Speck roast together on one pan, then get tossed with shredded Asiago cheese and balsamic vinegar just before serving. Easy peasy. 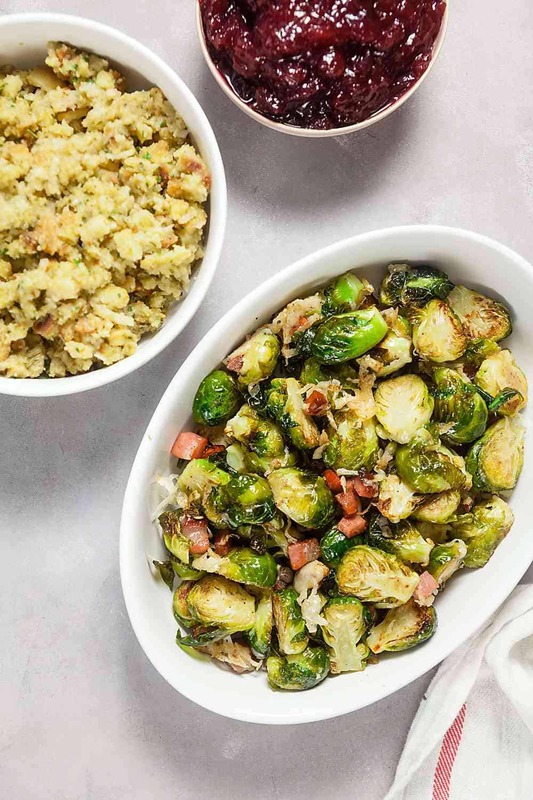 There’s still time before Thanksgiving, so you should probably go ahead and work these Brussels sprouts into your dinner plans. This recipe is so simple, with just 5 ingredients, and the temptation to overcomplicate it by adding cream, breadcrumbs, or nuts is real. Resist that urge – the beauty of this recipe is in its simplicity. The ingredients all play a starring role, and they complement each other perfectly. Less is definitely more. 1. Brussels sprouts, of course. Without them, there wouldn’t even be a recipe here. For the best flavor, look for small, compact sprouts. Cut them in half though the stem, and roast them in a hot oven for just a few minutes. The cut edge wil get nice and golden brown, but the rest of the sprouts should still be bright green. If the color fades, that means they’re starting to overcook and might start to taste more cabbage-y. 2. Speck Alto Adige. Speck Alto Adige is preserved ham, similar to prosciutto but smokier and with a drier, meaty texture. It’s made by rubbing pork leg with spices like garlic, juniper seeds, and rosemary and then cold smoking it for a week before aging it for several months. The result is an amazing ham with a deep savory and smoky flavor. 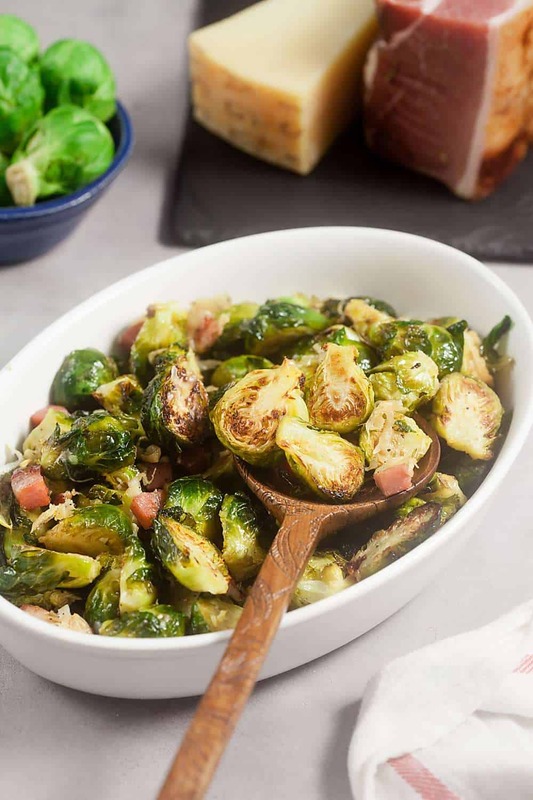 It’s often seen on charcuterie boards, but it’s also a delicious way to add a punch of flavor to vegetable recipes like these roast Brussels sprouts. 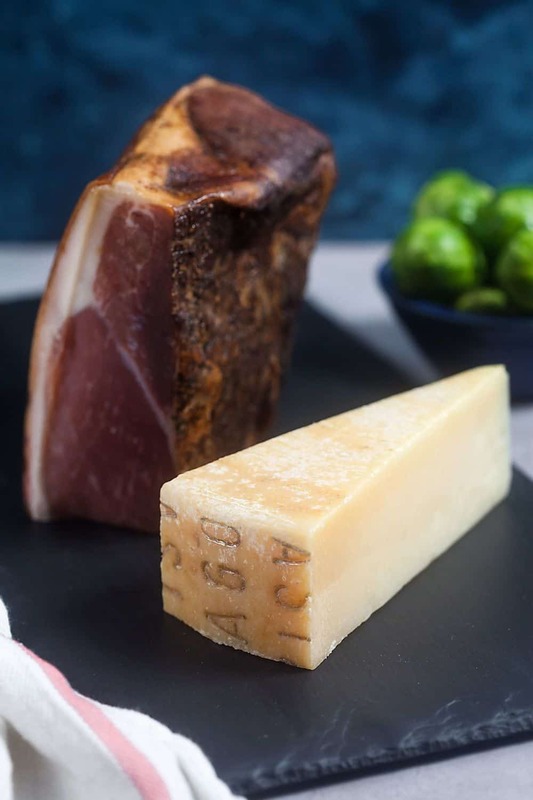 Authentic Speck always comes from the Alto Adige region on Italy’s northeast border, so be sure to look for the complete name on the package to ensure you’re getting the real deal. 3. Salt and Pepper. Normally salt and pepper wouldn’t be worth mentioning, but a generous smattering of cracked black pepper really adds a lot to this recipe. Don’t skimp! The speck and asiago both add some salt to the sprouts, so you don’t need to be as heavy handed with that. A generous pinch will do. 5. Balsamic Vinegar. 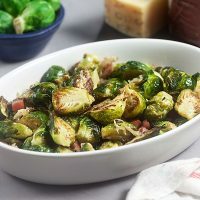 A splash of balsamic vinegar added to the Brussels sprouts after they come out of the oven gives them a slightly sweet, bright flavor that balances out any bitterness they might have. It also complements the flavors of the Speck and Asiago perfectly. Heat your oven to 425ºF. In a mixing bowl, combine the Brussels sprouts, speck, and olive oil. Season with a pinch of salt and lots of black pepper. Mix to combine. 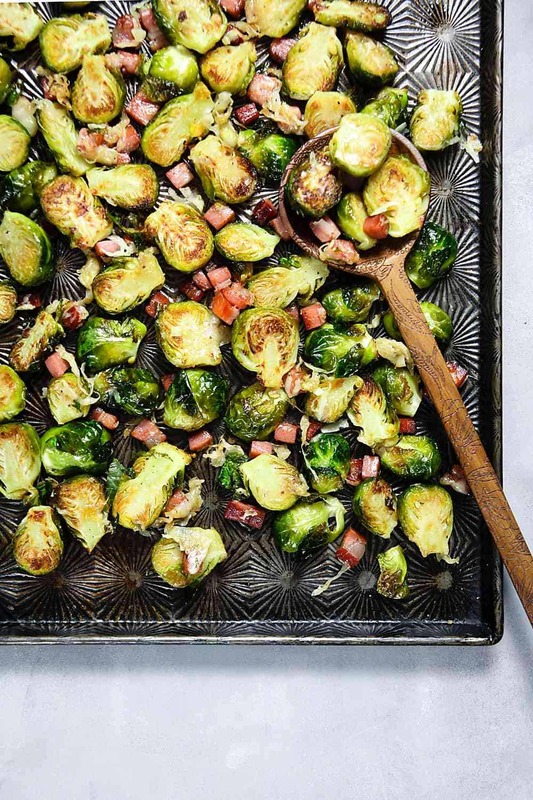 use your hands or a slotted spoon to transfer the Brussels sprouts to a sheet pan, leaving any extra oil in the bowl. Nudge the Brussels sprouts so that the cut side is flat on the pan. Bake 10-15 minutes, or until the sprouts are golden brown on the bottom but still bright green, and the speck is crispy. Remove from the oven and stir in shredded asiago and balsamic vinegar.